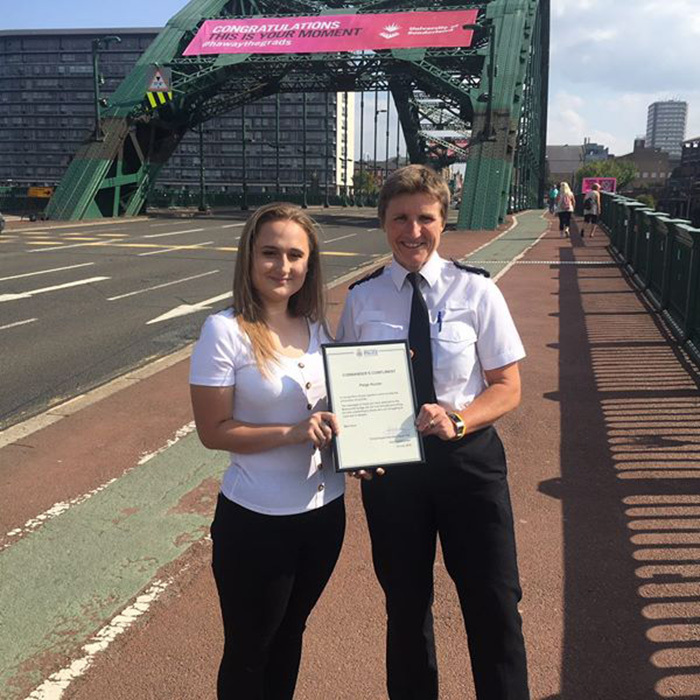 An English teenager who has attached uplifting messages onto a Sunderland bridge to help those in despair has been commended by Northumbria Police for saving lives. 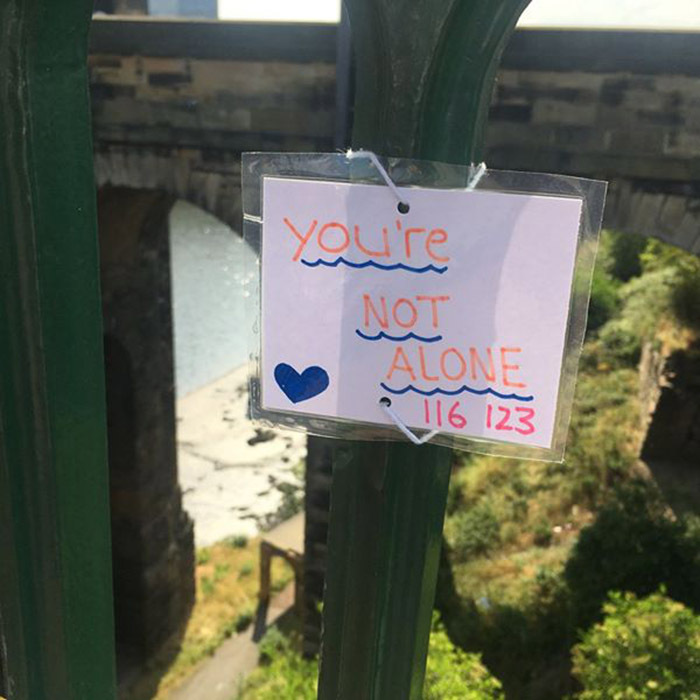 Paige Hunter, 18, has hand-written more than 40 inspirational notes and attached them to the railings of the Wearmouth Bridge to offer hope and comfort to people considering suicide. “Even though things are difficult, your life matters. You’re a shining light in a dark world, so just hold on”, she wrote on one of her notes. 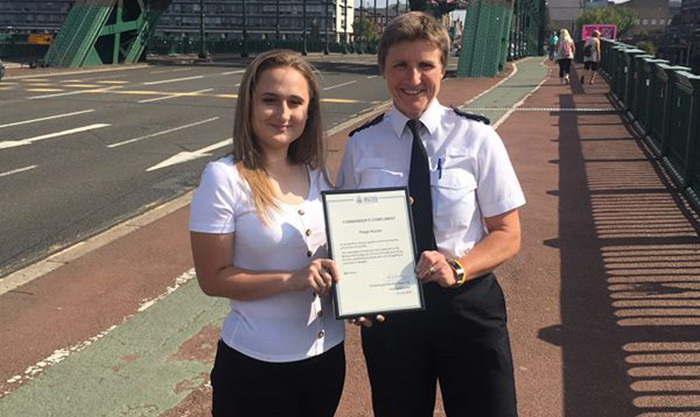 As the compassionate teenager returned to the bridge this week, Northumbria Police Chief Superintendent Sarah Pitt presented her with a framed commendation certificate to recognize her selfless acts. “We thought it was important to applaud the work Paige has been doing and the help she has given those in Sunderland who are going through a mental health crisis,” Pitt said. Paige, who works as a sales assistant at a variety store, said it was just something she wanted to do. “I just want to help people and I’ve been told it’s already helped save six lives,” she said.